Know all about the best apps for your smartphone or softwares for your PC. Read the reviews, know the pros and cons, ratings and go through our lists of best apps in individual categories! 8 Ball Pool by Miniclip is the world's biggest and also the best free Online Pool game available in the whole gaming platform of Facebook. This game is one of the top most game played by the Facebook users, more than 10 million people play this game. So you can imagine how popular it is. You can play this game against friends, and surely you will love to show off your tables, you can also compete in tournaments against millions of live player. The publisher of this game is Miniclip.com. It is available on iPhone, iPad, Android and of course on Facebook.com. The game is awesome, simply login to your account and start playing this game right now! This sports game has a functional game of pool. The problem with this game is that it does not giving any options to tweak the gameplay and the controls offer little flexibility. The worst thing is that the timer system makes every shot feel rushed, which is very tiring as well and there is no social features even though it is a game on Facebook. 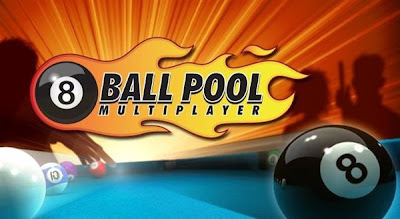 Once you logged in to your Facebook account simply load up 8 Ball Multiplayer Pool and then you will be presented with three basic options there: Play, Tournaments, and Play friends. You simply have to click on one of the aforementioned play options and then rack them up and start playing this fun game. As I mentioned, there can be no tweaking of the gameplay other than a mute button and also there is only one social feature of competing with your friends. Except that there is no other social feature like sending and receiving gifts. This game has got attractive presentation; visually, though the colors are vibrant and I would say that overall presentation is polished, 8 Ball Multiplayer Pool is a rather simple affair for the players. The gameplay is that the tables currently offer a winter motif, you can also opt out of it to shut off the snow pattern for plain felt, if you want to. The bad thing is that there is no music present in the game and the sound effects are barebones. 1. You simply have to sign in with your Miniclip or Facebook account and then only you will be able to challenge your friends straight from the game. You can challenge your friends anytime, anywhere and show off your skills by playing against them, 1-on-1 in Pool by Miniclip simply by sharing it in your timeline. 2. You can play 1 on 1 matches against your friends or simply try your luck in a match against another player. If you are not confident then you can go practice tables to refine your skills, then enjoy the thrill of playing 1-vs-1 matches. 8 Ball Pool by Miniclip’s level and ranking system are quite tough that means you are always facing a challenge. 3.You have to play matches to increase your level and get access to more exclusive match locations, where you will get opportunity to play against only the best Pool players. 4. Remember that in every competition of 1 on 1 match, there will be Pool Coins at stake. All the pool Coins are the game’s virtual currency which you can win by playing matches. After winning coins, you can then spend these on entering higher ranked matches with higher stakes or simply you can buy new cues and powers in the Pool Shop. Have something to add or have a question for us? Or just want to comment of the quality of the article? Feel free to leave a comment! My D-Link router has a bad habit of getting automatically reset sometimes. Then there is the issue that the service guy says that they provide support for TP-Link or Belkin routers but not for D-Link routers. Anyhow, the number of times our router just decides to reset is quite a lot to inconvenience the poor guy each time and further, that would mean that I too have to wait for broadband service to get restored until the technician comes to my house to restore the settings. So I decided to take this task in my own hand and it was a definitely a good decision because all it takes is around 2-3 minutes to do these settings. 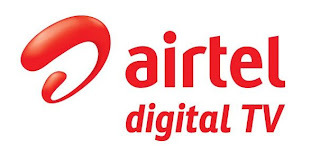 Dish TV and Airtel Digital TV are two major DTH service providers in India. With the Indian government pushing for digitization across India it is common for people to be confused over which service provider to use. So to help you in choosing the right DTH providers, here we provide you with an exhaustive review, comparing the pros and cons of Airtel Digital TV versus Dish TV.